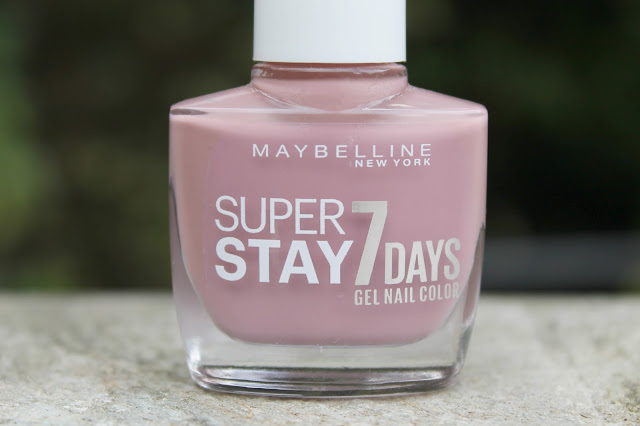 In recent months I've been having a little bit of a love affair with the Maybelline 'Super Stay' range. From a nail polish I crave something durable, affordable, fast-drying and of a beautiful colour; and their 'Rose Poudré' shade ticks each of these boxes and pops a rose coloured cherry on the top. Describing the shade 'Rose Poudré' is a seemingly tricky task. Whilst in some lights it appears a very neutral shade, as the name suggests, it is more of a rosy pink mauvey colour that provides a very sophisticated finish. Perfect if you want your nails to look good (almost) naked but with a touch of classy colour. As with all of the 'Super Stay' range this polish applies super duper easily and dries very quickly (although I like to chivy it along with the assistance of my Essie quick dry drops). A mere two coats is enough to provide flawless opaque coverage with a touch of gorgeous shine, lasting a good week with only a handful of touch ups following the wear and tear you'd expect from any manicure. I'd also like to take a moment to declare my love for the brush perfection Maybelline have created. It's wide and flat, providing optimum coverage of the nail in a totally streak-free fashion. 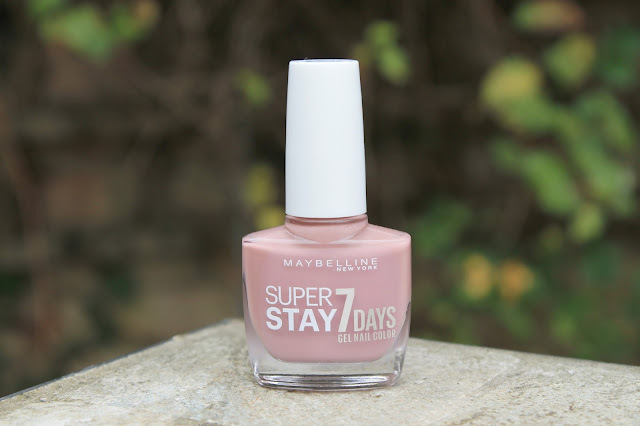 Have you tried any of the Maybelline 'Super Stay' range? The Maybelline 'Rose Poudré' Gel Nail Colour is available online from Superdrug here or in most drug stores.